Not all brownies mean a bulging waistline. Indulge the right way with this sweet treat. Line an 8x8 baking dish with parchment paper, and spray with cooking spray. Set aside. Add in all brownie ingredients, except for chocolate chips, to a blender or food processor. Turn the mixer on and blend the batter until it is completely smooth. Stop and scrape the bottom and sides of the mixer to ensure the batter is well combined. Spoon brownie batter into prepared baking dish and smooth down with a spoon. Bake in the oven for 34-38 minutes. Remove from the oven and let cool for at least 30 minutes. Slice brownies into 16 even pieces. 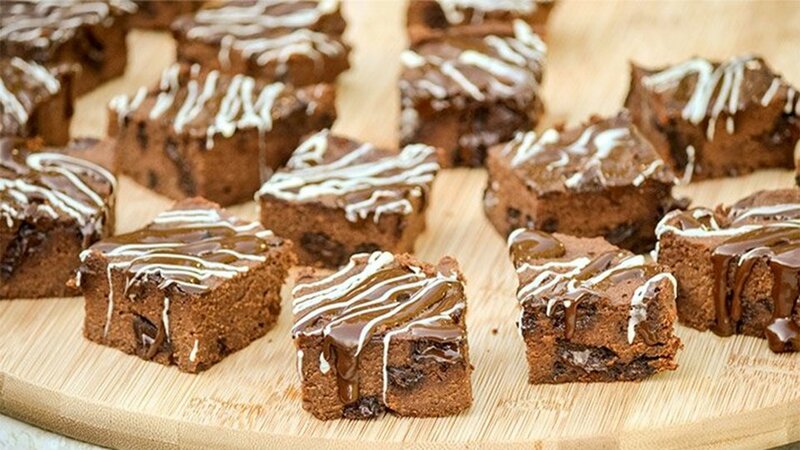 If desired, melt chocolate chips and white chocolate chips to drizzle on top of each brownie square. Serve immediately.